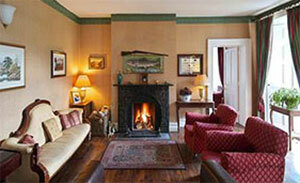 Explore Ireland from the comfort of your own luxury ‘home’. Choose one of our property rentals and discover Ireland at your own pace in the comfort of your own high quality accommodation. Live like a lord, for a week, or more. Set within a walled garden with 10 foot-high stone walls, security gates and 40 acres of woodland and lawns, this 18th Century luxury country mansion brings back old-world opulence and personal service in a modern and totally private way. 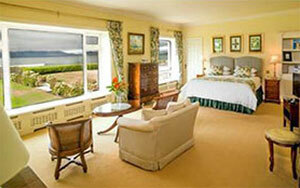 This 22 bedroom exclusive-use estate offers all of the luxuries you would expect in any five-star setting. Enjoy exclusivity, luxury, and your every need catered to. The following activities can be arranged for your group: Kayaking, archery, football, croquet, art classes, murder mystery parties, treasure hunts, horse-riding, Whiskey distillery tasting tour, hot air balloon rides, helicopter tours, local tours, and much more. Dinner here in the formal dining room is very special, with the evening light pouring in through the grand windows. 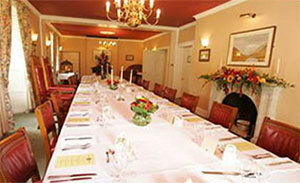 The house has its own private chef, who has come from a Michelin Star rated restaurant in Dublin. The cuisine is prepared to the highest standards, using fresh local produce. This is the ideal property for weddings, family reunions, or Corporate gatherings. This is a delightful 1830s Historic Country House set in glorious scenery within a 1000 acre estate, in one of the most spectacular settings in Co. Mayo in the West of Ireland. The house is surrounded by the tallest mountains in Mayo and overlooks the lakes and rivers of the valley that are famous for their salmon and sea trout fishing. This house is available for an exclusive house rental where guests can take over the full 12 bedrooms of the house and the retreat exclusively, perfect for family gatherings. They’ll take care of the gourmet food and housekeeping, and all you have to do is enjoy the splendor of Ireland’s hidden treasures. Activities on-site include Fly Fishing for Wild Salmon. The following activities are all available locally: Hill Walking, Horse-riding, Golf, Beaches, Spa, Irish Heritage and genealogy trips, and much more. There are an abundance of beautiful towns and beaches in the area; perfect for exploring, swimming, surfing, picnicking and more. To the Manor born Indeed! 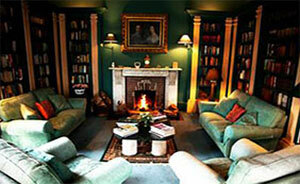 Experience the elegance and luxury of an Irish Country House and Estate. This House is available for an exclusive house rental where guests can take over the full house and country retreat exclusively, perfect for family gatherings. Our private rental facility is equally attractive for families and friends or for business associates. Perfect as a way to celebrate a special occasion and a great base for a cultural or sporting activities. Ideally situated in the west of Ireland with easy access to Galway City, The Cliffs of Moher and more; the House and Estate’s magnificent position set amidst 200 acres of woodland and parkland, ensures exclusivity and endless opportunities to ramble along woodland walks or explore the countryside undisturbed. 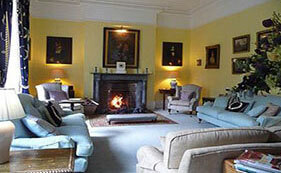 This beautiful 18th century manor house set in 40 acres of woodland overlooking the River. The house has been totally refurbished in recent years and is available for exclusive rental. There is formal dining room, drawing room, a comfortable library with satellite television, and a fully equipped guest kitchen, as well as open fires in the reception rooms. 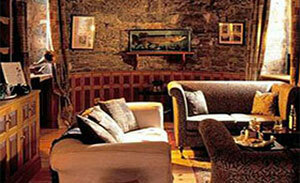 The Courtyard Cottages were converted from the 18th century stone courtyard buildings. They have been decorated and furnished to a very high standard. All the bedrooms have Egyptian Cotton bed linen and can be king size, double, or twin bedded and all have en suite bathrooms. 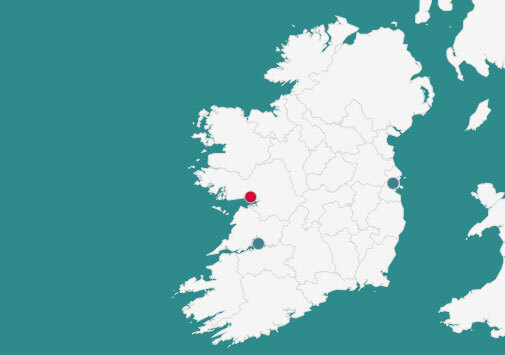 Enjoy all the area has to offer, such as; The ring of Kerry, The Dingle Peninsula, Muckross House & Gardens, The town of Killarney, Horse riding, hiking, fishing, water activities, and much more. 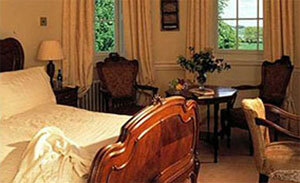 This 18th century Manor house is a four star property in the south west of Ireland. The property features the natural beauty of a 40 acre estate on the Atlantic and the most famous sea trout and salmon fishery in Ireland. Aside from its comfort and charm , the house has 12 bedrooms en-suite, sauna, steam room, health facility with massage room, billiard room and private golf practice facility. Guests enjoy preferential tee times on the famous links course as well as access to fishing in private lakes and rivers. Enjoy all the area has to offer, such as; The ring of Kerry, The Dingle Peninsula, Muckross House & Gardens, The town of Killarney, Horse riding, hiking, fishing, water activities, and much more. Do you have a family who would love to plan a reunion, or a corporate group looking for their next great adventure? 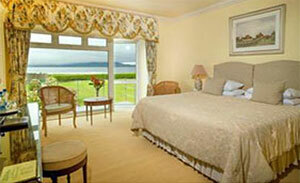 Perhaps you have always dreamed of getting married in Ireland? These properties are ideal for weddings, gatherings, and special events. Enjoy the privacy of your own 18th Century Irish Manor, fine meals, professionally guided tours of the area, group activities such as golf, heritage experiences, archery, horse riding, and so much more. Please contact one of our travel experts for current pricing and inclusions. Customized Itineraries for your group are available upon request. Please contact one of our travel experts for assistance. We will listen to all the wants and needs on your wishlist and plan the perfect itinerary for you and your group.